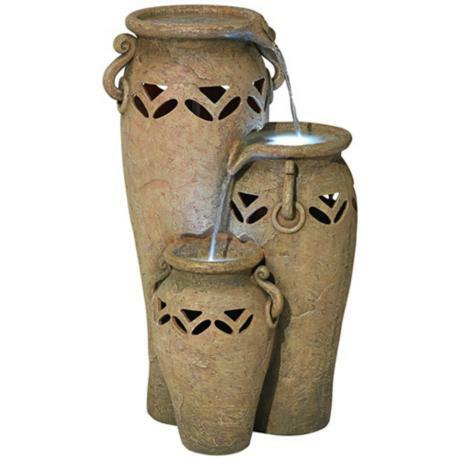 Add the sounds of soothing water to an indoor or outdoor space with this faux stone fountain featuring three Grecian-style jugs and LED illumination. 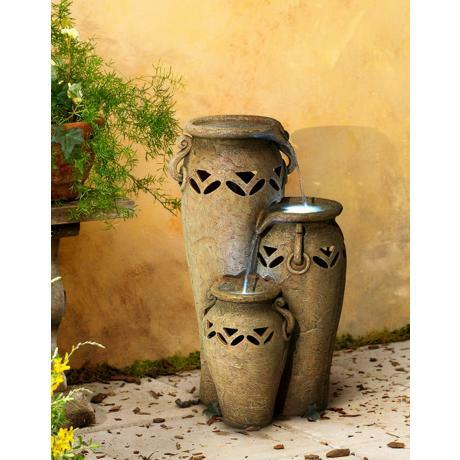 This floor fountain works perfectly in both indoor or outdoor spaces and features a faux stone design. Three traditional vases with Grecian flair define this design, creating a distinguished look for your home. This fountain also comes with an LED light for warm illumination at night. • Indoor or outdoor LED floor fountain. • Three Grecian vases design. • Easy to move and position. • LED lights on each level.